This wonderful 4 Oz Silver coin is dedicated to the iconic symbol of American independence from Great Britain on July 8, 1776 – the Liberty Bell. 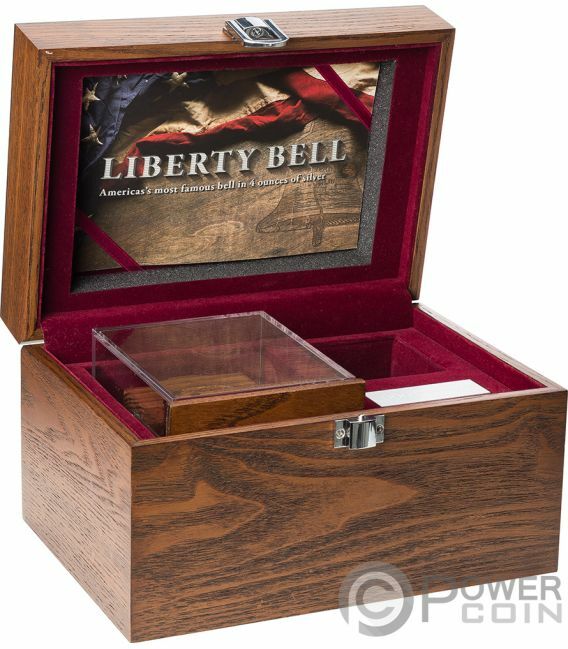 The coin features an incredible design shaped as the replica of the Bell, has an Antique Finish quality and comes in exposition case, along with the Certificate of Authenticity. Limited mintage of only 1.776 pieces worldwide. 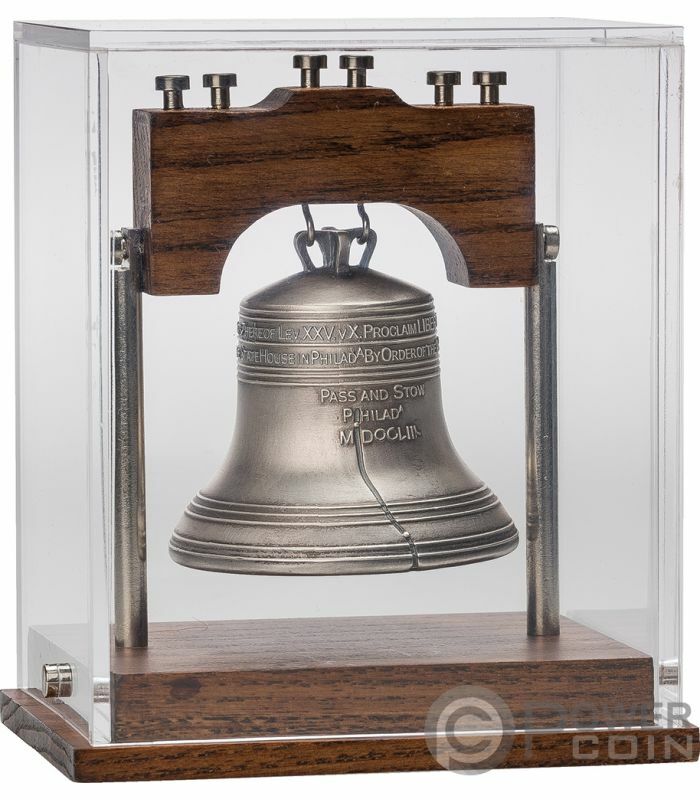 The Liberty Bell is an iconic symbol of American independence, located in Philadelphia, Pennsylvania. Once placed in the steeple of the Pennsylvania State House (now renamed Independence Hall), the bell today is located in the Liberty Bell Center in Independence National Historical Park. 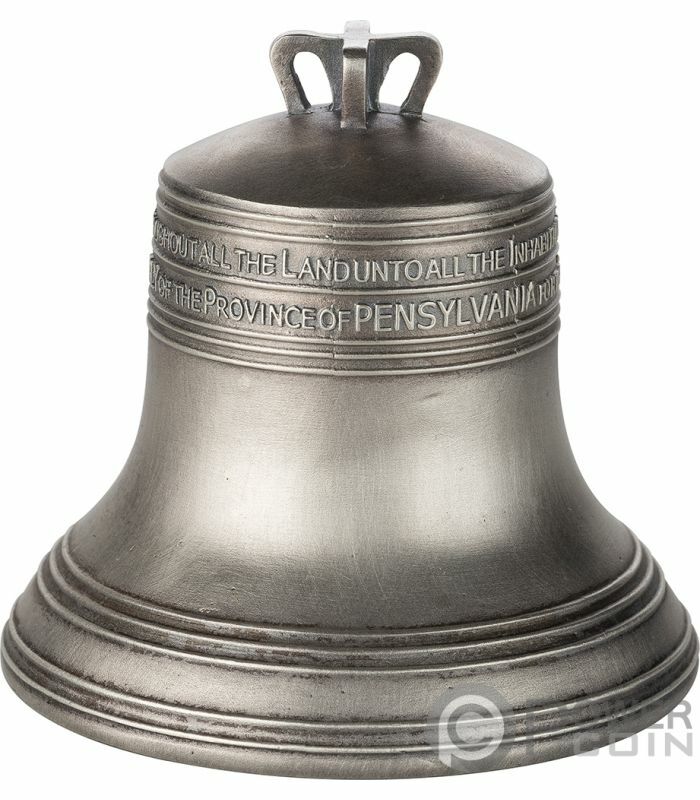 The bell was commissioned in 1752 by the Pennsylvania Provincial Assembly from the London firm of Lester and Pack (known subsequently as the Whitechapel Bell Foundry), and was cast with the lettering “Proclaim LIBERTY Throughout all the Land unto all the Inhabitants Thereof”, a Biblical reference from the Book of Leviticus (25:10). 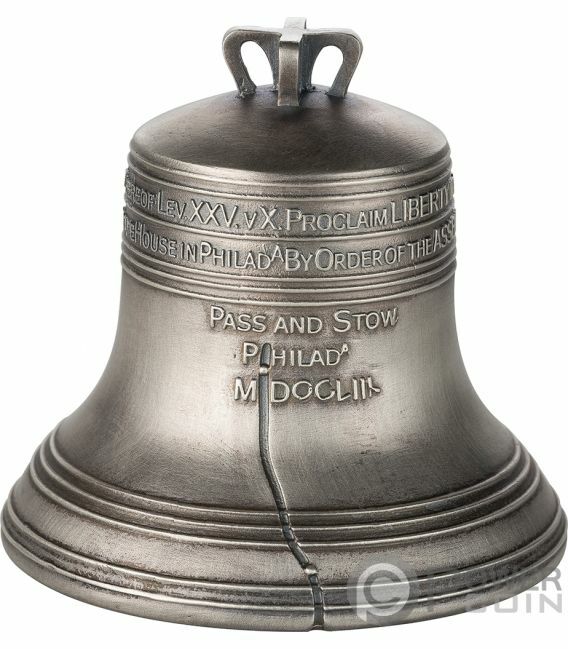 The bell first cracked when rung after its arrival in Philadelphia, and was twice recast by local workmen John Pass and John Stow, whose last names appear on the bell. In its early years the bell was used to summon lawmakers to legislative sessions and to alert citizens about public meetings and proclamations. 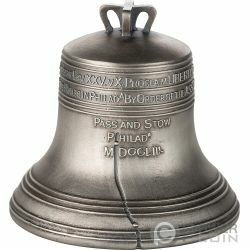 The reverse of the coin features a wonderful shaped replica design of the Liberty Bell with the same inscriptions present on the original. 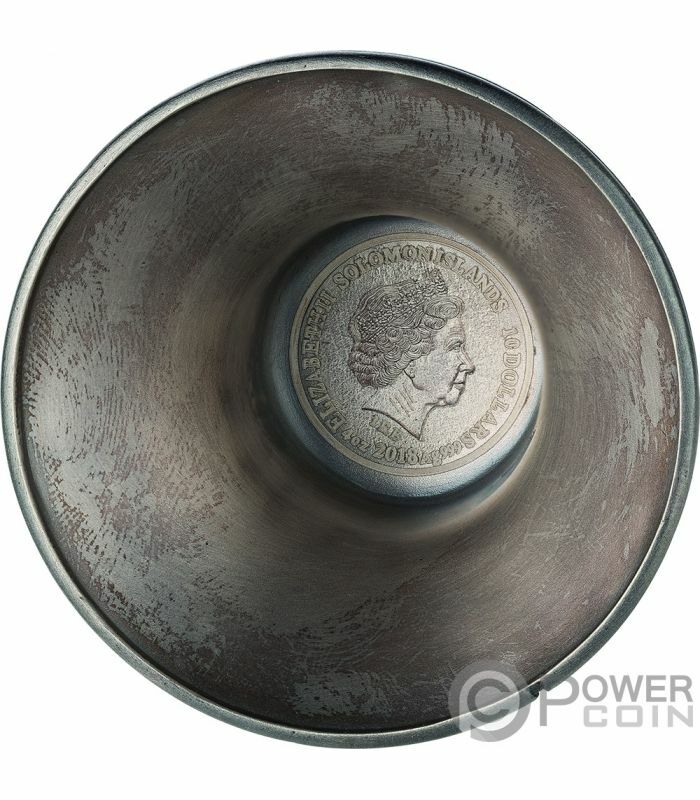 The obverse of the coin (the inner side of the Bell) depicts the effigy of Her Majesty Queen Elizabeth II and the inscriptions: “ELIZABETH II” – the name of the Queen, “SOLOMON ISLANDS” – the issuing country, “10 DOLLARS” – the face value, “Ag 999” – the fineness of the Silver, “2018” – the year of issue and “4oz” – the weight of the coin.